This superior self catering accommodation provides a hallway, dining kitchen and lounge on the ground floor and two bedrooms and a bathroom upstairs. 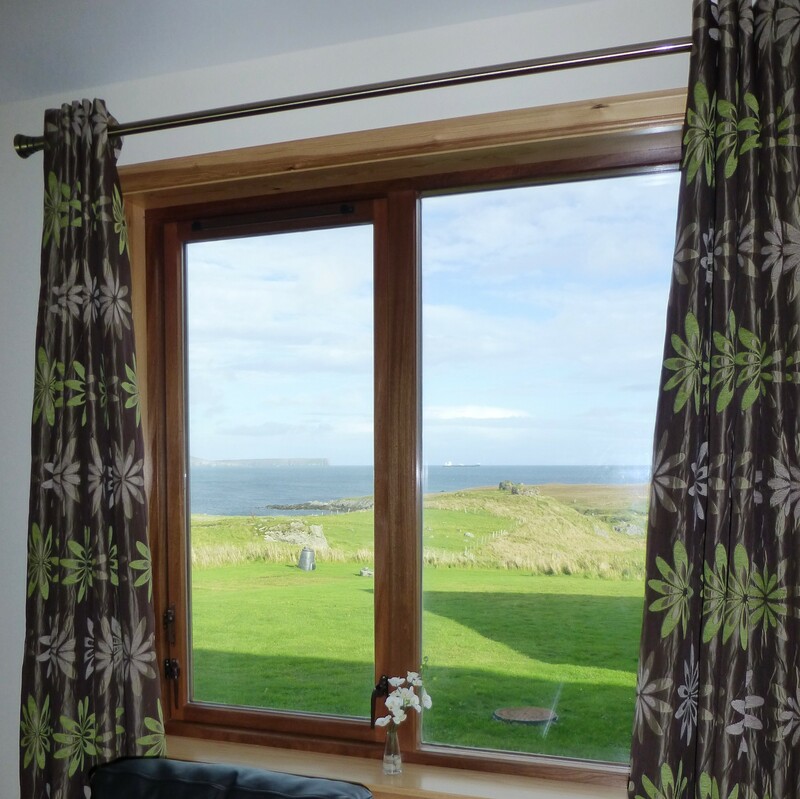 The beautiful coastal location, in the south mainland of Shetland has stunning unrestricted sea views, ideal for those who love the sound of the ocean waves. 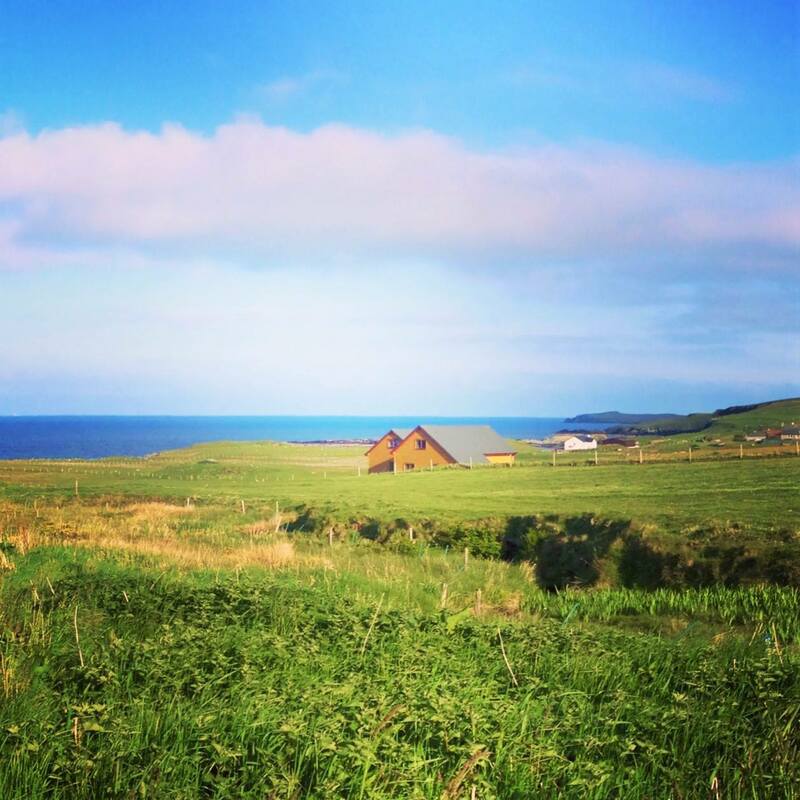 Brekka Lodge is well equipped for an enjoyable self catering holiday and centrally located only 10 minutes from Lerwick and 20 minutes from Sumburgh. The competitive booking fees include all bills, free wifi, bedding, towels and a welcome pack of local produce. Brekka Lodge is the perfect base to explore Shetland's unique, fascinating natural environment or to simply kick back and relax. The dining kitchen is fully equipped with a double electric oven, gas hob, dishwasher, integrated fridge freezer, toaster, coffee machine, kettle, food processor and microwave. The kitchen table seats 6 people. The lounge has a three, two and one seater leather suite with dual aspect views towards the sea to the east over looking the isle of Bressay. There is also a Freeview TV with integrated DVD player and a CD player/radio. The master bedroom (3.6mx5.2m) has a king bed and the second bedroom (3.0mx5.2m) can have either twin beds or a super king sized bed. There is also the option to have an additional single bed in each room, if required. The bathroom has a corner bath and large separate shower and is located between the bedrooms upstairs. The peaceful location of the property ensures you the freedom and space to ensure a wonderful holiday. For those with young children we provide a highchair, travel cot, stairgate and a box of toys free of charge. Brekka Lodge is sited away from the road to ensure safety and there is a picnic area and large lawn playing football, kite flying or sun bathing should the weather permit. There are lime kilns ruins and a pebble beach just two minutes from the bottom of the garden. Should the weather be poor there are games, free wifi, DVDs and books provided for your enjoyment. However, Shetland also has much to offer with a network of leisure centres, heritage centres and the recently opened award winning museum in Lerwick, to name a few things to do on a wet day. Check out the comprehensive information pack and Shetland books in the accommodation for other suggestions. The adjacent village of Cunningsburgh has a farm shop, cafe, community hall, pier, marina, church, a craft studio and two knitwear shops. Travel a little further and in less than 15 minutes you can be in Lerwick or exploring the Scalloway Castle or on a ferry to the island of Mousa (home of the finest surviving example of a 2,000 year old Iron Age broch) or on the finest example of the shell sand tombolo in Europe, St Ninians Isle. The central location of our self catering accommodation ensures the whole of the Shetland Islands can be easily accessed during your stay. Previous visitors have managed to explore from Unst to Fair Isle, including a trip to Mousa and Foula, all in 7 days! However, we would recommend if you plan to be this adventurous that you stay at least 14 nights so that you do not go home too tired. Discounts offered for stays of 14 nights or more. Book direct to receive the best prices. We were delighted to receive the Certificate of Excellence award from Tripadvisor. To read more from our happy customers or to share your Brekka Lodge experience, please visit our Tripadvisor page. Remember to book with us direct to avoid unnecessary commission. Alternatively, use the link below to visit our Facebook or Instagram pages for more images and kind words from our guests.